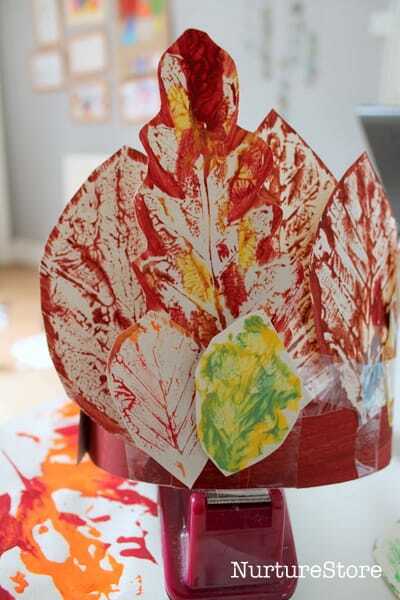 Celebrate the season in style with this easy autumn craft for preschool – make a leaf crown! We started our project with some leaf printing. 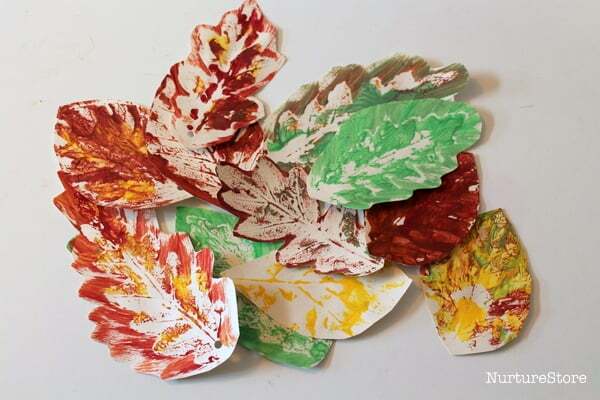 Once the paint had dried and we had done some cutting out, we end up with a lovely collection of leaf prints. We sorted them out into matching piles, by colour and size, so we could see what leaves we had available to design our crowns with. We made a simple band out of card to be the base of our leaf crown. 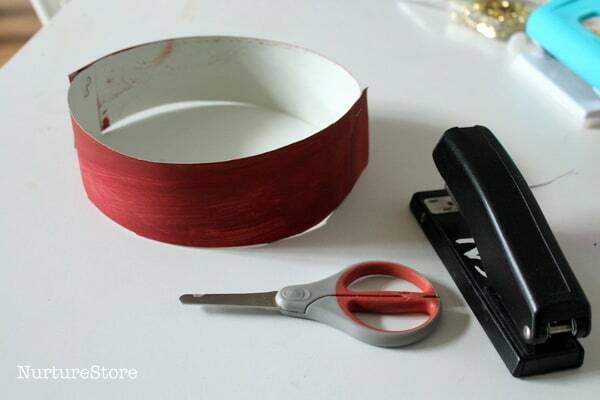 Cut out a strip, measure around your child’s head, and fasten the crown to the right size using staples or tape. 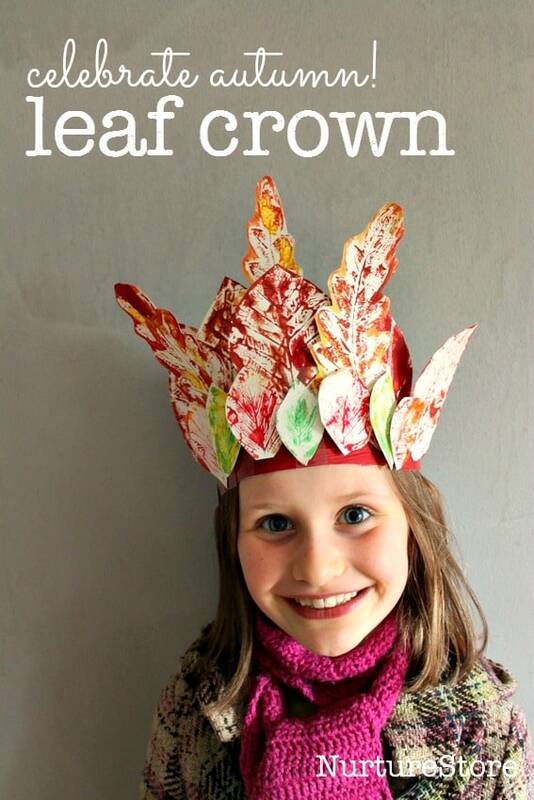 Then you can design your own crown. You might like to work out from the centre, try some repeating patterns, or have a random fiesta of shapes and sizes around your crown. 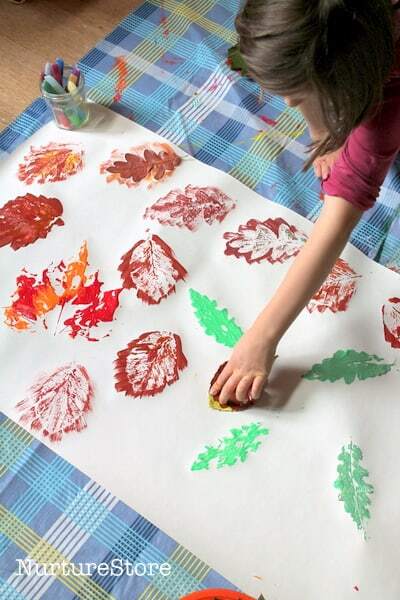 We loved overlapping the leaves to give us lots of layers. 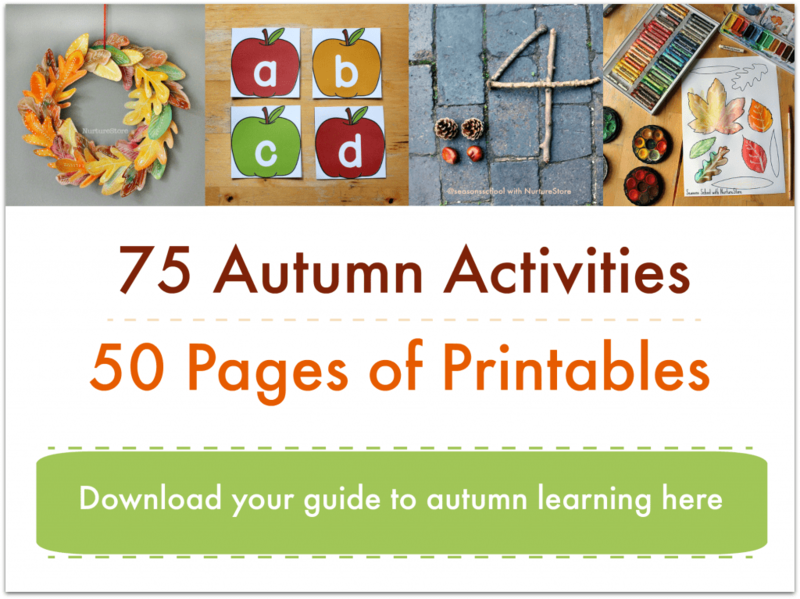 You can fasten your leaves in place with glue, staples or tape, depending on what your children like to use, and whether you want to wear it straight away. When you are finished you are ready to celebrate autumn in style. 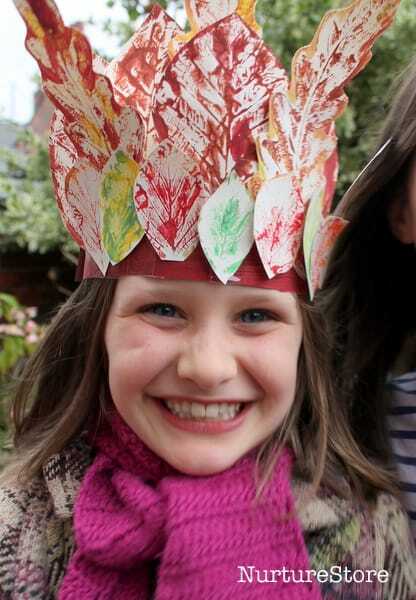 These autumn crowns are what all the best-dressed woodland fairies are wearing this season! Hi Diana. Yes, you are welcome to use one photograph provided you link back to this page, and don’t re-produce the whole article. Thanks!